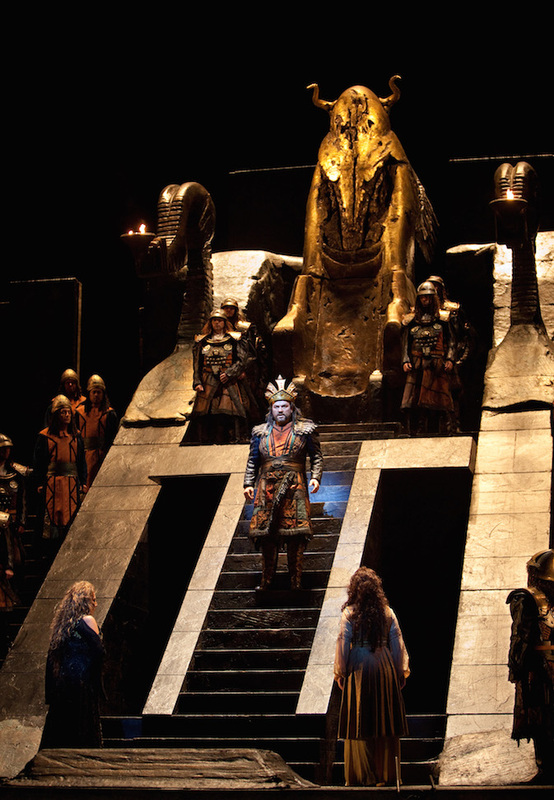 The Met: Live in HD’s 2016-17 Season kicks off on October with the series’ 100th transmission, a new production of Wagner’s Tristan und Isolde conducted by Sir Simon Rattle. The season will feature 10 transmissions, live from the Met stage, including five new productions, three operas new to the series, and starry revivals featuring the world’s leading artists. The series will reach 70 countries on six continents in 2016-17, as well as 750 theatres in the United States. 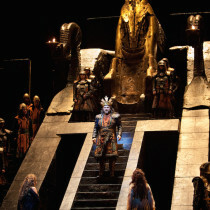 Live in HD, the Metropolitan Opera’s award-winning series of high-definition live cinema simulcasts, will begin its 11th season on October 8 with the 100th transmission in series history, a new production of Wagner’s Tristan und Isolde conducted by Sir Simon Rattle, directed by Mariusz Treliński, and starring Nina Stemme — the world’s pre-eminent Isolde. Tristan und Isolde which received its US premiere at the Met in 1886 marks Sir Simon Rattle’s first Live in HD performance. 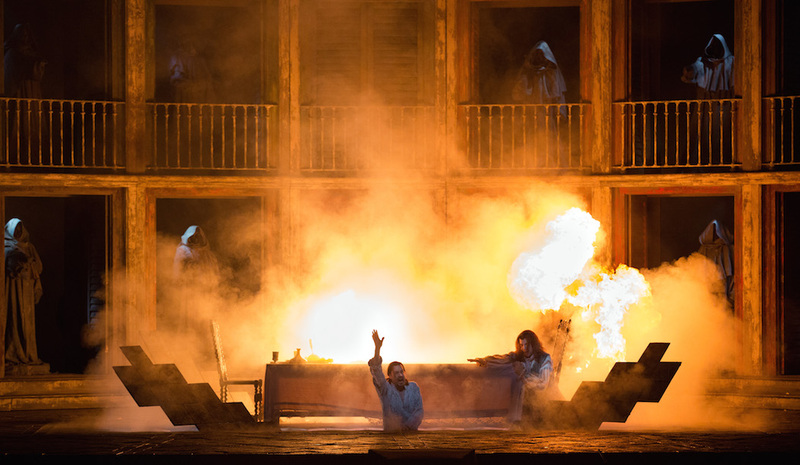 Live in HD audiences around the world will see 10 live performances from the Met’s 2016-17 season, which celebrates the company’s 50th anniversary at Lincoln Center. The Met: Live in HD is the largest provider of alternative cinema content in the world, with more than 19 million tickets sold over the first 10 years of the series. The series brings live Met performances to more than 2,000 movie theatres in 70 countries around the world. The 2016-17 Live in HD season will feature the series’ first broadcasts of Kaija Saariaho’s 2000 opera L’Amour de Loin, which has its Met premiere this season; Verdi’s early Biblical epic Nabucco, starring Plácido Domingo in the title role; and Mozart’s Idomeneo, conducted by Met Music Director James Levine. 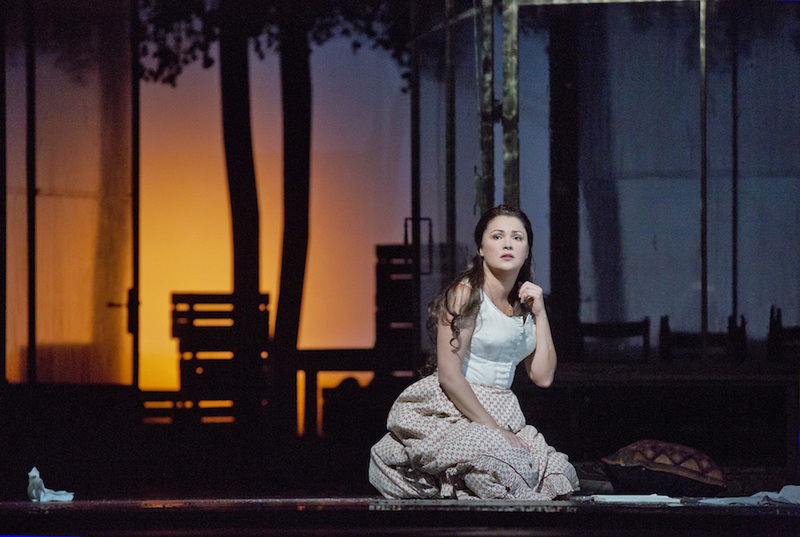 In addition to the new productions of Tristan und Isolde and L’Amour de Loin, Live in HD audiences will see the Met’s new stagings of Gounod’s Roméo et Juliette, starring Diana Damrau and Vittorio Grigolo; Dvořák’s Rusalka, with Kristine Opolais in her first Met performances of her international breakthrough role; and Strauss’s Der Rosenkavalier, with Renée Fleming as the Marschallin and Elīna Garanča as Octavian. 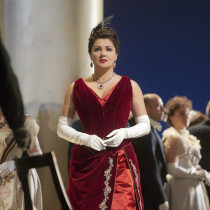 The season will also feature Mozart’s Don Giovanni, with Simon Keenlyside in his first Met performances of the rakish title character; Verdi’s La Traviata, with Sonya Yoncheva as the doomed Violetta; and Tchaikovsky’s Eugene Onegin, with Anna Netrebko repeating one of her great triumphs of recent seasons opposite the Onegin of Dmitri Hvorostovsky. The season opens with a new production of Wagner’s Tristan und Isolde, conducted by Sir Simon Rattle in his first Met performances since his 2010 debut. 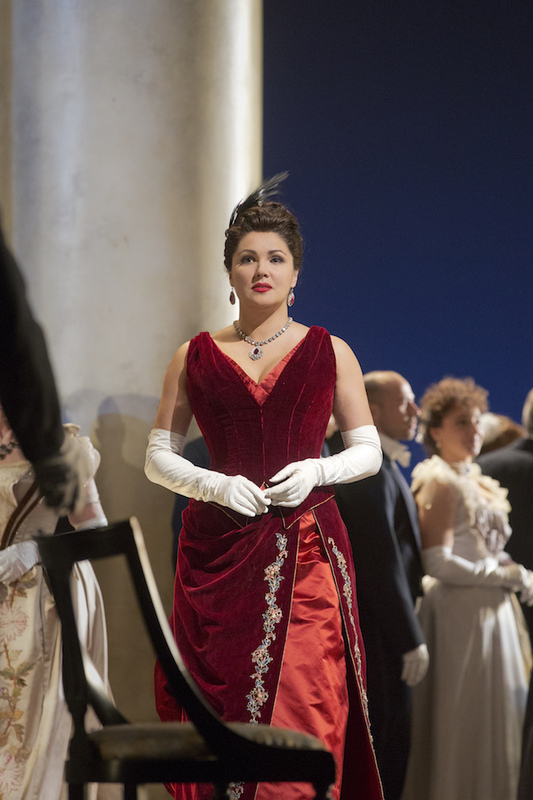 Nina Stemme makes her company role debut as Isolde—a touchstone role she has sung with major opera companies around the world. 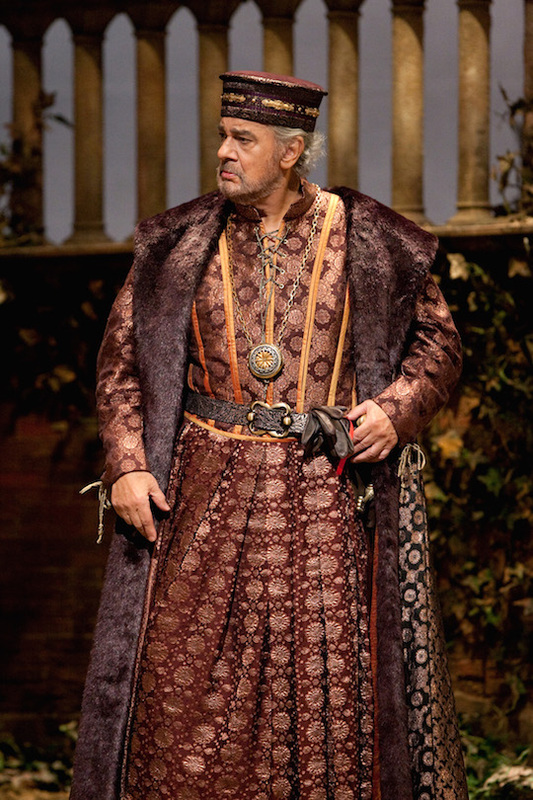 Her Tristan is Australian heldentenor Stuart Skelton, who sang Siegmund in the Met’s Ring cycle in 2013. 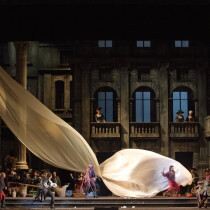 The cast also includes Ekaterina Gubanova as Brangäne and Evgeny Nikitin as Kurwenal (both in Met role debuts), with René Pape reprising King Marke, a role he has sung to acclaim in three previous Met seasons. 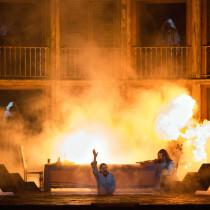 The staging, by Mariusz Treliński (who directed the 2015 Met double bill of Iolanta and Bluebeard’s Castle) is a co-production with the Festival Hall Baden-Baden, Teatr Wielki – Polish National Opera, and China National Centre for the Performing Arts (NCPA) Beijing. 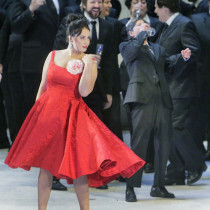 Guillaume Tell returns to the Met after more than 80 years in a new staging by Pierre Audi, with a starry cast taking on the demanding principal roles in Rossini’s opera about the legendary Swiss folk hero William Tell. Met Principal Conductor Fabio Luisi leads the performances, which will star Gerald Finley in the title role, Marina Rebeka as Mathilde, Bryan Hymel as Arnold, Janai Brugger as Jemmy, Marianna Pizzolato in her Met debut as Hedwige, Marco Spotti in his Met debut as Walter Furst, Kwangchul Youn as Melcthal, and John Relyea as Gesler. 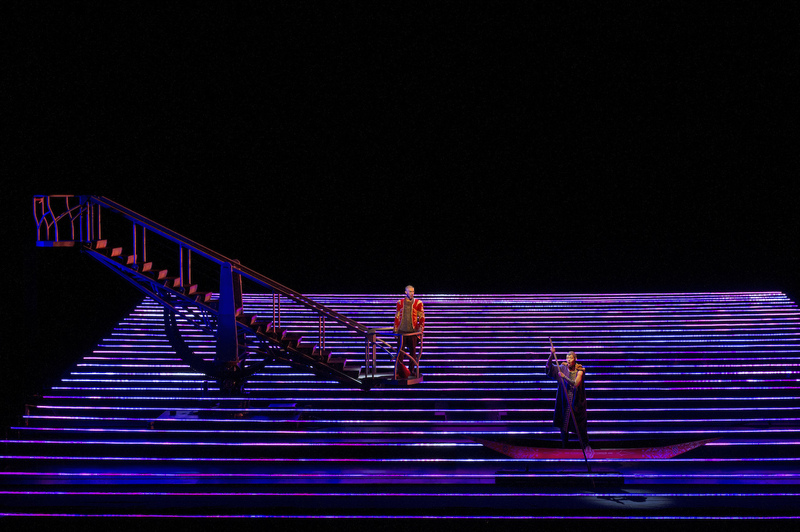 Guillaume Tell is a co-production with the Dutch National Opera, where this staging premiered in 2013. 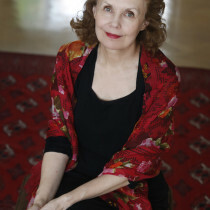 One of the most highly praised operas of recent years, which had its premiere at the Salzburg Festival in 2000, Kaija Saariaho’s yearning medieval romance L’Amour de Loin (“Love From Afar”), has its Met premiere on December 1. 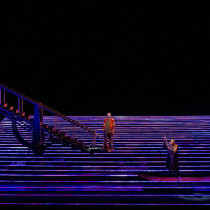 The production is by Robert Lepage, co-produced with L’Opéra de Québec, where it premiered to acclaim last summer, in collaboration with Ex Machina. Susanna Mälkki leads the performances, which will star Susanna Phillips as Clémence, Eric Owens as Jaufré, and Tamara Mumford as the Pilgrim who carries messages of love between them. 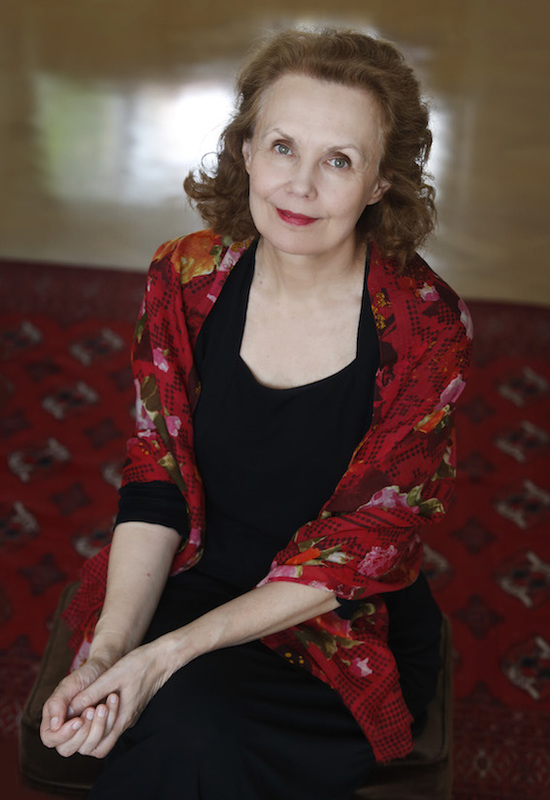 L’Amour de Loin is one of several Saariaho events taking place in New York this fall, including performances at the Park Avenue Armory with the New York Philharmonic; at the Juilliard School; and a residency by the composer at the Mannes School of Music. 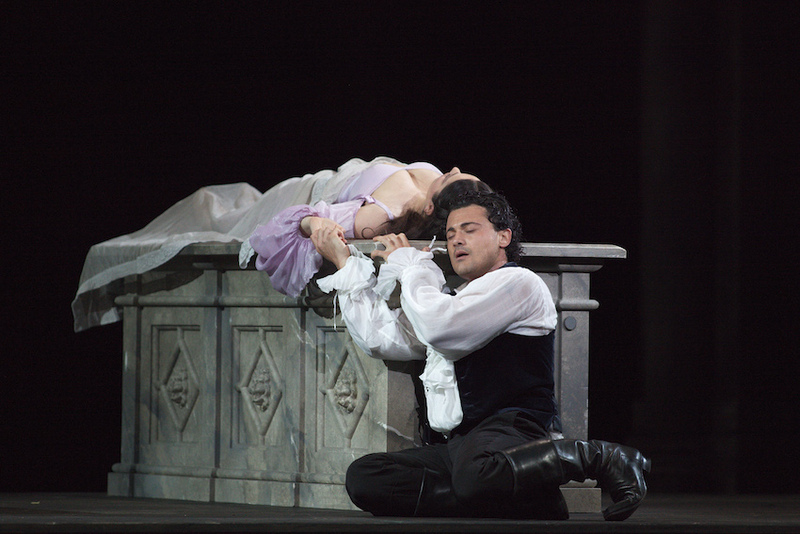 The electrifying team of Vittorio Grigolo and Diana Damrau, who starred together in last year’s Manon, reunites for a new production of Gounod’s opera based on the Shakespeare play. 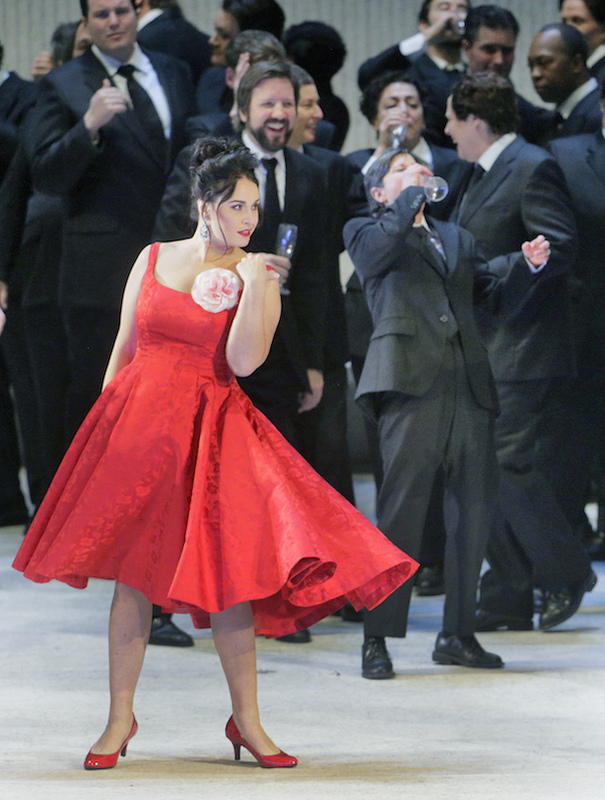 Damrau makes her role debut as Juliette in Bartlett Sher’s new production, conducted by Gianandrea Noseda. 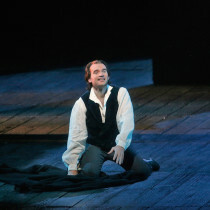 Elliot Madore sings Mercutio and Mikhail Petrenko sings Frère Laurent. 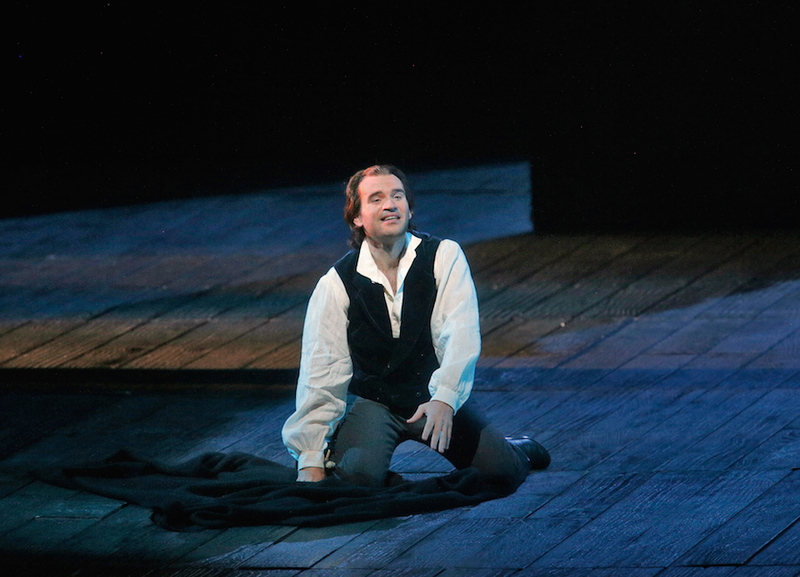 Later performances will star Pretty Yende and Stephen Costello in the title roles. 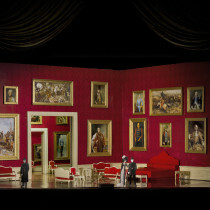 Sher’s staging is a La Scala production, initially presented by the Salzburg Festival, where it premiered in 2008. 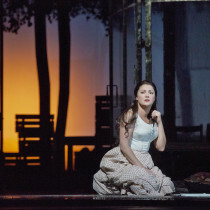 Kristine Opolais sings her first Met performances of the role that won her international acclaim, the tragic water nymph Rusalka. Sir Mark Elder conducts a new staging of Dvořák’s fairy-tale opera directed by Mary Zimmerman, also starring Brandon Jovanovich as the Prince who captures Rusalka’s heart; Katarina Dalayman as her rival, the Foreign Princess; Eric Owens as the Water Sprite, Rusalka’s father; and Jamie Barton as the duplicitous witch Ježibaba. 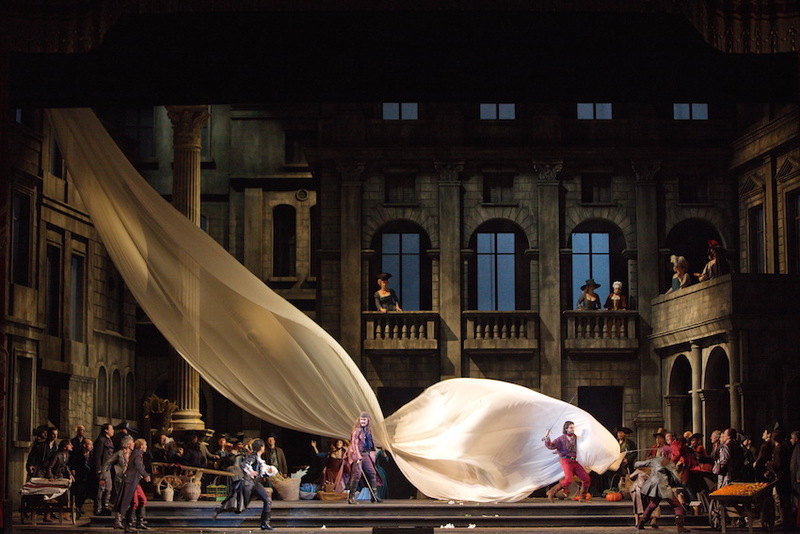 The Met’s first new production since 1969 of Strauss’s rich romantic masterpiece will be conducted by Music Director James Levine and directed by Robert Carsen, whose most recent Met production was the hit 2013 staging of Falstaff. 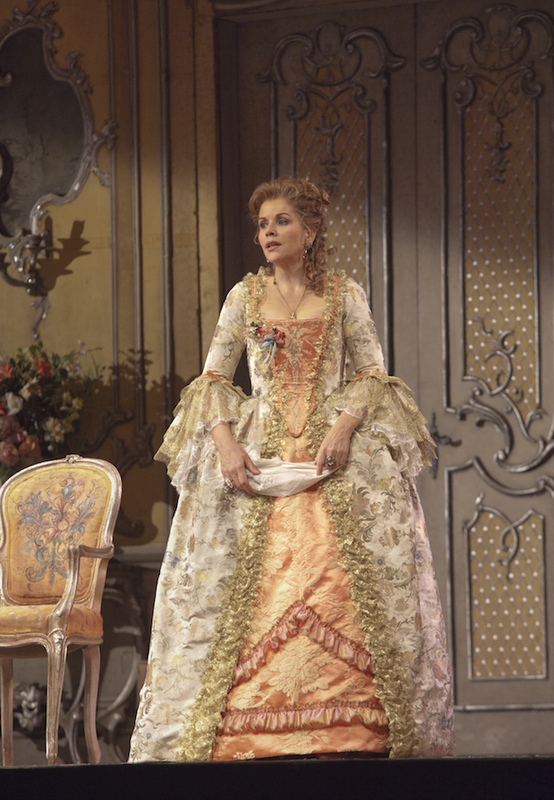 Renée Fleming will sing one of her signature roles as the Marschallin, opposite Elīna Garanča in her first North American performances as Octavian, the impulsive young title character. 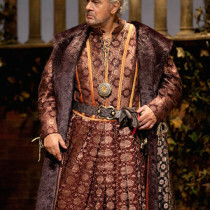 The cast also includes Günther Groissböck as Baron Ochs, Erin Morley as Sophie, Marcus Brück in his Met debut as Faninal, and Matthew Polenzani as the Italian Singer. 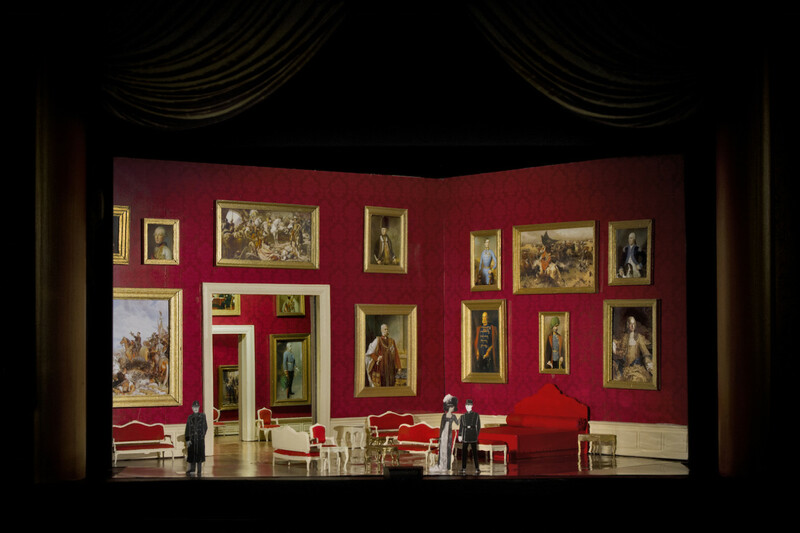 Der Rosenkavalier is a co-production with the Royal Opera House, Covent Garden, and Teatro Regio di Torino.